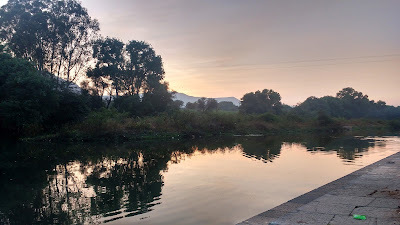 A few hours ride south of Pune, along the route to Mahabaleshwar one crosses the small town of Wai on the banks of the Krishna. 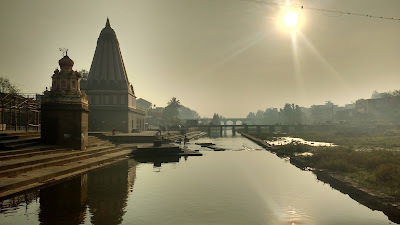 Wai is a town of medieval temples; a town of ghats that straddle the Krishna as it flows silently. The river forms an integral part of the Wai narrative. It provides, it nourishes and it hold no grudges to the humans who choose to live next to her. 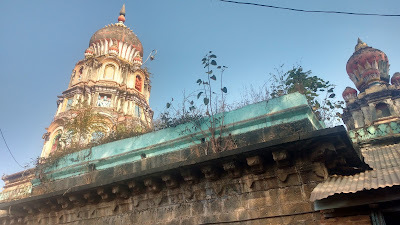 This small temple lies on the southern bank of the Krishna, on the way from the bus station to the Ganpati Ghat. The main shrine is non-descript, but the view from here is amazing. 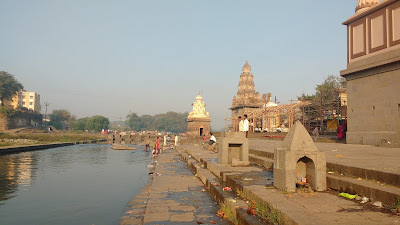 This is the main ghat of Wai and houses the Mahaganpati Temple and Kashi-Vishweshwar Temples. 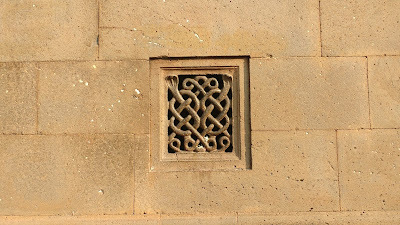 The Mahaganpati Temple - also known as the Dholya Ganpati Temple - is the main temple of Wai. For most people, this is the only temple of Wai. The temple is instantly recognizable owing to its peculiar spire shaped like an inverted ice-cream cone. The idol in the temple is huge - akin to what would be called obese in modern parlance - and has hence earned the nickname of Dholya Ganpati. 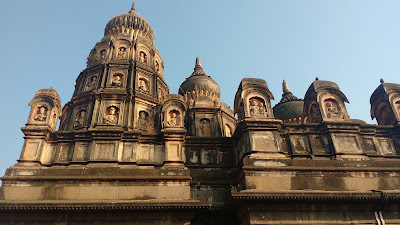 Up from the Mahaganpati Temple (northwards, away from the ghat) is the Kashi-Vishweshwar Temple. 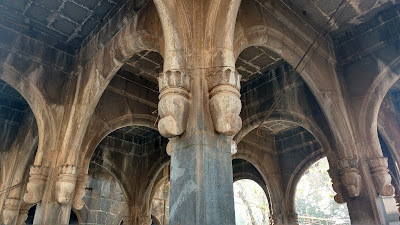 The temple is a true reflection of the medieval architecture from the times of the Peshva. The main temple is a stone structure with spires featuring artistic brick and plaster-work. One can see images of prominent Gods being carved on the top. 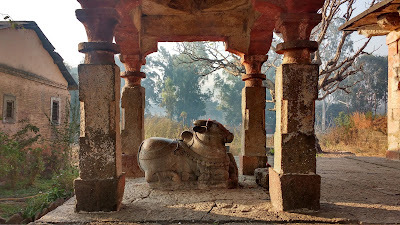 There is a vaulted mandapa and a nandi outside the main temple. 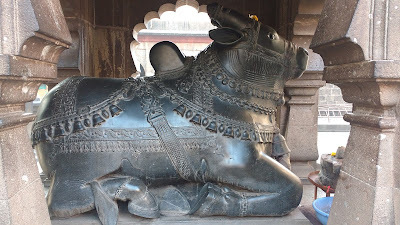 The huge nandi - said to be carved out of a single stone - is an attraction in itself. 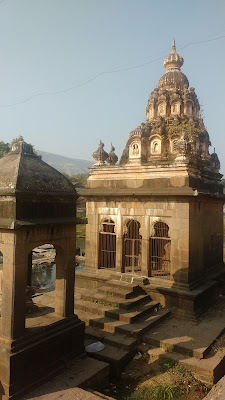 To the rear of the Mahaganpati Temple is a smaller temple of Krishnabai. The temple has an artistic spire with a fresh, modern facade. 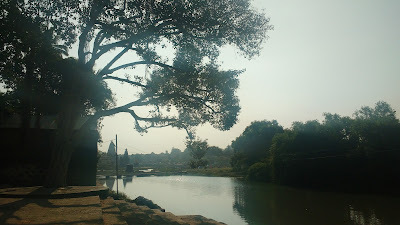 This one is located downstream (east) of the Ganpati Ghat. 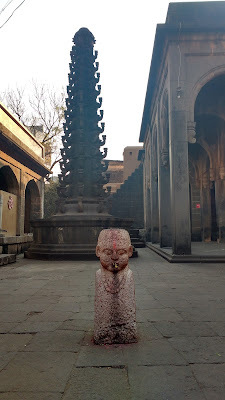 The Datta Temple at the entrance is very much frequented by the locals. 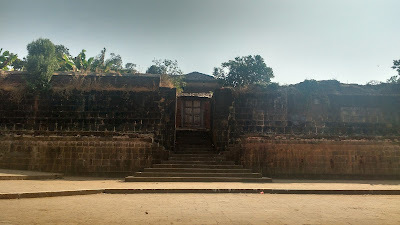 There are two temples on the main ghat, but not in their prime condition. 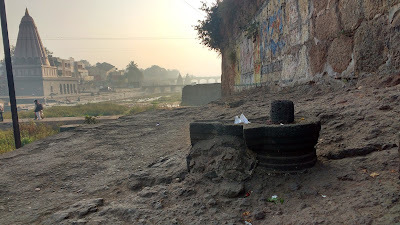 There is a stagnant and abandoned look at this ghat and also the ones further downstream. There is a Harihareshwar Temple on the road leading to this ghat. 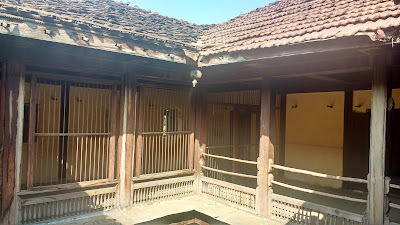 The temple has a distinct wooden courtyard similar to temples of Konkan region. The temple premises are shared with a school and I was greeted to kids having fun in the premises. Easily the most positive thing I saw on the day. 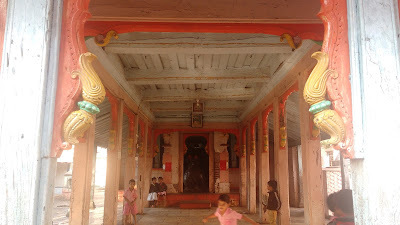 The wooden mandapa of the temple - also kids having fun! This is the western-most ghat at Wai. This is where the river enters the town. This is one of the largest ghats of Wai and is a kind of a evening meeting point for the locals. The place is peaceful and has an ambience fit for introspective moments. 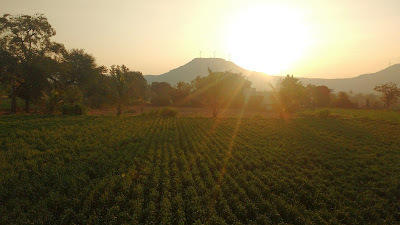 Mornings here are mostly reserved for washing clothes though. 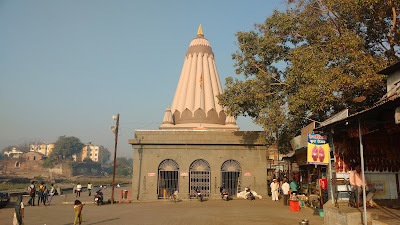 The ghat has approach through gates leading to Marathi Vishwakosh Centre and Uma Maheshwar Temple. Menawali is a small village located 2km upstream (west) of Wai. 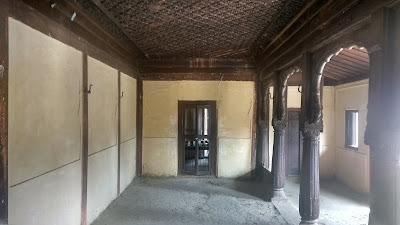 The village is known for the wada of Nana Phadnavis, a Peshwa minister. The palatial building is completed in wood and gives an idea of the residence and lifestyle. 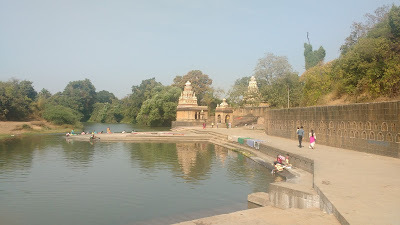 The river Krishna flows immediately behind the wada and can be approached by the constructed ghat. The ghat at Menawali is a very popular movie-shoot location. The ghat also has temples of Amruteshwar (Shiva) and Menawaleshwar (Vishnu) along with a bell-tower which displays a bell of Portuguese make. 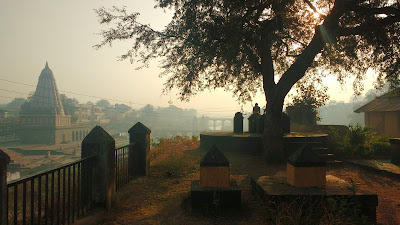 The ghat of Menawali is a very peaceful place to sit. The general lack of people makes it more inviting to unwind and introspect. The ghat is clean too. Wai, in a way exists because of the Krishna. The role of the river here is that of an enabler and a provider. But looking at the river ached me terribly. The state of the river is by no means pathetic, but still leaves a lot to be desired. The water appears to be black - partly reflecting the basaltic rocks of deccan that line its bed, partly the recklessness of the mass of humanity. There are issues and they need to be resolved before its too late. Wai lies enroute Mahabaleshwar, about 10km east from the NH4 connecting Pune to Bangalore. Bus connections from Mumbai, Pune and Satara are frequent. 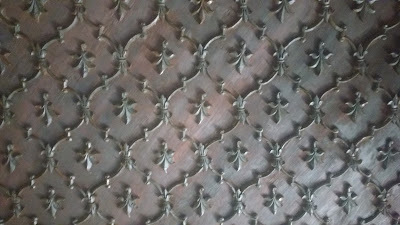 And by the way, in Wai one should have lunch at the Bandu Gore Bhojanalay, not far from the Kashi-Vishweshwar Temple. The food is simple Maharashtrian fare, but is simply delectable.